The passing of Jayaram Jayalalitha, one of India’s most flamboyant and controversial politicians, leaves a void that will be felt for a long time in both her home state, Tamil Nadu, and in the Indian political scene. The leader of Tamil Nadu state and former actress who played a powerful goddess on screen was all too human and yet her followers deified her as a divine being. She inspired a cult following, and adoring followers often called her “Adi parashakti” – which means the ultimate powerful goddess in Tamil. 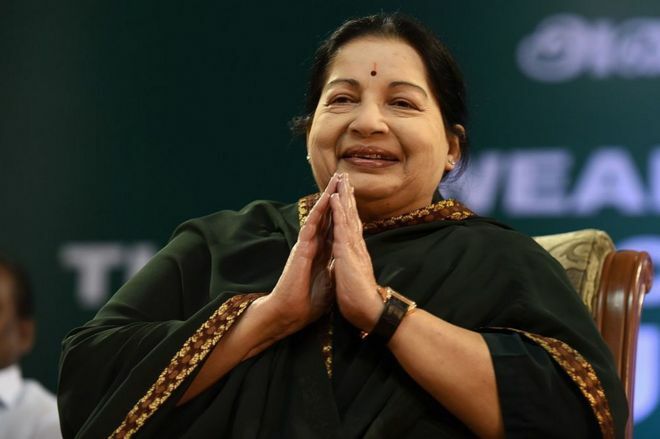 She was one of India’s most charismatic and enigmatic personalities, single-handedly holding her own in the masculine world of Tamil politics and effectively breaking a more than 30-year-old culture of male dominance. While there have been several female leaders across Sri Lanka, Pakistan, Bangladesh and India, Jayalalitha came from a different background. Other female premiers, like Indira Gandhi, Benazir Bhutto, Sheikh Hasina and Sirimavo Bandaranaike, all came from political families. Jayalalitha, on the other hand, came from a middle-class family, where her mother was a small-time actress. On various occasions she described herself as a prim, convent-bred girl who had dreamt of a world of academic and legal studies with an interest in English theatre. She topped her state in her school-leaving exams and was awarded a scholarship to college studies. However, to tide over her family’s financial crisis, she began to act instead. Actor and late Tamil Nadu chief minister MG Ramachandran was Jayalalitha’s mentor, and inducted her into the movies. She acted in more than 140 films from the 1960s. She was a successful actress of her time, paired with the top heroes of all south Indian languages. Her ability to speak English, considered a social marker, and ability to sing marked her skills in the movie business. And, even in her acting career, Jayalalitha was not afraid to challenge established norms. A common trope in films of the time was that of the “spoilt shrew tamed by the hero”. But Jayalalitha soon tired of that stereotype – and eventually started playing independent women who resisted traditional roles for women. Will Utah’s Mormons Find Common Ground With Republicans or Democrats?